Daily Research News Online no. 27685 - Penn's Stagwell Group to Buy Stake in MDC Partners? Penn's Stagwell Group to Buy Stake in MDC Partners? The Stagwell Group, owner of the Harris and Harris Poll brands, is in talks to buy a $100m minority stake in marcoms group MDC Partners, according to an article in the Wall Street Journal (WSJ). New York and Toronto-based MDC operates a Consumer Insights Group offering data and analytics capabilities to other group companies, and has invested in a number of MR and analytics firms. These include language and communications research specialist Luntz Global, data analytics business kenna, and qualitative research firm and focus group facility Ecker & Associates. In 2015, MDC founder Miles Nadal was forced to repay nearly $12.5m in expenses, following an investigation by the SEC. He was replaced by Scott Kauffman as CEO, but last September, a week after Kauffman announced his resignation, MDC Partners said it was 'exploring and evaluating potential strategic alternatives', including the possible sale of the company. 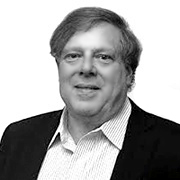 In yesterday's article, the WSJ says The Stagwell Group, the investment advisory company formed by Penn Schoen Berland co-founder Mark Penn (pictured), is looking to buy a share in MDC, with Penn expected to lead the company. This follow's last August's news that Stagwell had raised $260m in an expansion funding round led by private equity firm AlphInvest Partners. MDC said in a statement: 'The strategic review process we previously announced remains ongoing. We have no comment on the rumors and speculation surrounding this process. We will provide updates on both the strategic review and CEO successor search at the appropriate time'. Web sites: www.stagwellgroup.com and www.mdc-partners.com .